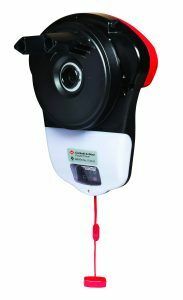 You can disengage a garage door motor to manually operate a garage door, when there is a power outage or motor failure. Do NOT try to manually operate the garage door, if it is unsafe to do so (i.e when there is a broken door cable, spring or hinge). If your door is also fitted with an automated B&D Auto-Lock, pull the pin out of the B&D Auto-Lock that is mounted on the door track. If you have a garage sectional panel or tilt door, the motor will be installed in the middle of your garage ceiling. Follow the same process as demonstrated to open the door manually. However, to re-engage a panel door motor once power is restored, you will need to flick the red cord away from the garage door opening, instead of pulling the cord straight down. If you are having difficulty with this process, please follow the detailed steps below or call the team at East Coast Garage Doors and Gates on 07 5476 9227. Roller door motors are usually attached to one side of the garage door drum, near the garage opening (generally visible, as shown in our video above). The manual release cord/lever is usually attached to this motor. Motors for panel/tilt doors are installed in the middle of the garage ceiling. The manual release cord/lever is usually hanging down from the steel rail that connects this motor to the door. There is generally a simple method to dis-engage your garage door motor using the “manual release” cord or lever. Your user manual will contain easy to follow instructions, but generally it involves pulling the cord or lever down one time. If your door is also fitted with an automated B&D Auto-Lock, you must manually release the B&D Auto-Lock by pulling the locking pin lever/handle (B&D Auto-Locks are usually installed around knee height on the door vertical track at the side of the garage opening). Pull the roller door manual release lever/cord one time. 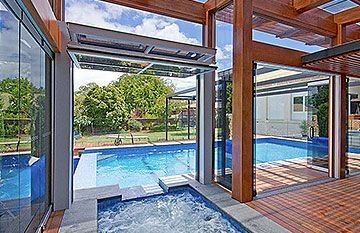 To test if the motor is now re-engaged, walk over to the door and try to manually push it up/down – if the door won’t move, then you have successfully engaged the motor and locked your roller door. To operate the door with the motor (once power is restored), press your remote control button and you should hear the motor operating and see the door moving. If it is safe to do so, manually move the garage door so it is partway between fully open and fully closed. Flick the manual release cord away from the door, towards the motor (it’s a bit like being a cowboy – flick the rope away from the door, don’t pull the rope down) – the aim is to move the plastic clip attached to the top of the cord into the horizontal position (so it points towards the motor). Press your remote control button to operate the motor. You should hear the motor operating, and see the chain/belt moving along the steel rail, even if the door is not yet moving. Don’t stop the door motor mid-cycle – it should stop automatically within 30 seconds. Press the remote control again, to move the chain/belt further along the steel rail. 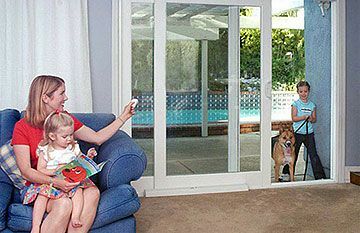 Once the motor stops, if the door still did not move, press the remote control button again. If the motor is now moving the door, you have successfully re-engaged the motor and your garage door is locked. 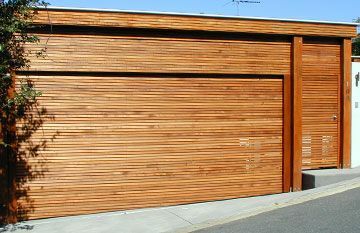 Note: even if your garage door motor won’t operate a garage door, if it has been successfully re-engaged then the door is usually locked. Test trying to open the door manually to confirm it is locked. If you cannot lift the door manually, then the door is locked with the motor. If your motor will not re-engage, and the door can still be opened manually, for security you might wish to manually lock the door whilst awaiting a Service Technician’s visit. Before proceeding to manually lock the garage door, it is CRITICAL that you UNPLUG THE MOTOR from the power supply. 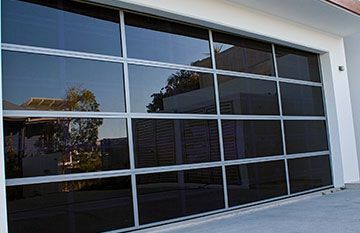 Phone East Coast Garage Doors and Gates to arrange a Service Technician to assist with further testing or replacement of your garage door motor, if it no longer operates the door. If you cannot operate the door manually, as it is too heavy to lift or it is not safe to do so, simply contact East Coast Garage Doors & Gates on 07 5476 9227 today to book a Service Technician to repair or replace your garage door motor.